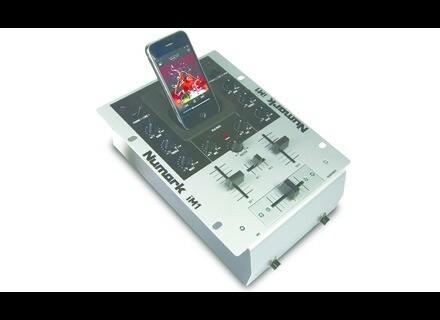 iM1, 2-Channel Mixer from Numark. 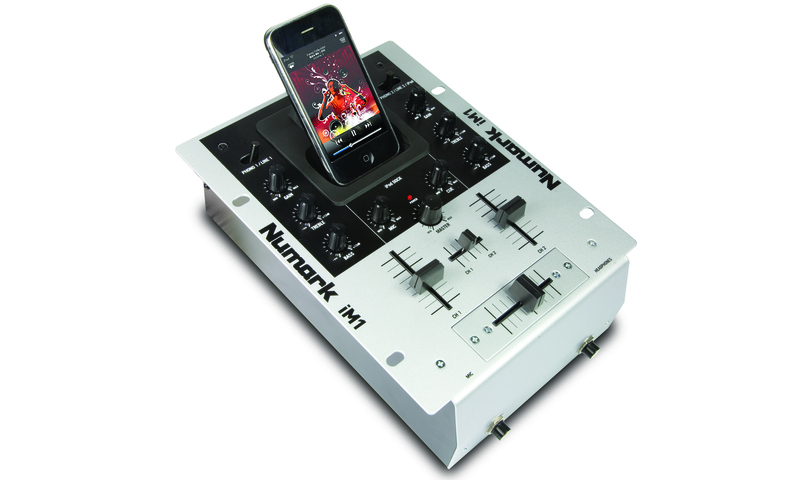 Numark introduces the iM1 DJ mixer, a professional 2-channel DJ mixer with dock for iPod. Numark showcases the iM1 at the 2011 Winter NAMM Show in Anaheim, CA, Booth #6400, January 13 – 16, 2011. Numark's iM1 features a variety of input types. You can plug in turntables, CD players, line-level music sources and a microphone to the iM1, which also includes a dock for iPod that allows you to play from, or record to, an iPod. You can set the levels with trim and line faders, and tailor the high and low frequencies with the rotary EQs on each channel. You can cue up tracks using the mini-crossfader and headphone output, then perform the mix through the master outputs with the replaceable crossfader. You can also create mix-tapes to pass off to clubs and fans by recording your DJ performances to an iPod within the built-in dock. The iM1 mixer will be available in early 2011 from musical instrument and DJ retailers with a Manufacturer's Suggested Retail Price of $229.00 and an estimated street price of $129.00. [NAMM] Gemini DJ FirstMix Gemini DJ unveiled its FirstMix DJ MIDI controller at NAMM 2011. [NAMM] Denon DJ DN-SC2000 Denon DJ is showing the DN-SC2000 controller at NAMM 2011.